N.E.W. is a community of artists, dancers, and creatives located in Inner SE Portland, Oregon. Third Angle’s Studio Series has found a home in Studio 2, an intimate flex-space that brings audiences closer to the music. This building is renowned for its ADA accessibility. ADA accessible parking is available in the N.E.W. parking lot, located on the east side of the building. Enter on Belmont. Street parking is generally abundant to the south and east of the building, with a large number of spaces usually available just west of SE 7th Ave. The front of the building is white; enter through the driveway on the east side of the building and the door to the venue is on the SE side of the building off the small parking lot. There will be a Third Angle flag to help you find the door. The Oregon Museum of Science and Industry is one of the top science museums in the nation and offers brain-powered fun for everyone. Parking: Free in both of OMSi's lots after 5.30pm. Parking: Street metered parking available and garages available a couple blocks away throughout the Pearl District. A discount of $5 will be given to anyone taking public transit to this concert. 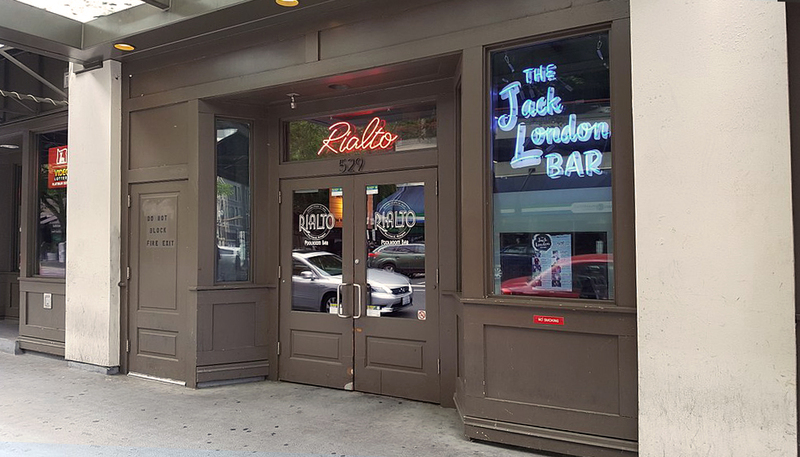 The Jack London Revue is a jazz club in Portland, Oregon. The venue is beneath the Rialto Poolroom Bar and Cafe at the intersection of Southwest Fourth Avenue and Southwest Alder Street in downtown Portland. Parking: There is limited street parking and a Smart Park at 621 SW 3rd Ave. The North Warehouse is a cool old warehouse just off of North Interstate Ave in the Albina Neighborhood. Parking: There is limited street parking available. Please carpool if possible.